Drones are everywhere, there seem to be drones for everything, from professional photography to filming large budget movies and even drones for agricultural use. However, the most popular use of drones still remains flying them for fun and taking aerial images and videos (if it has a camera). In this article, I list 9 of the best drones for beginners that are both easy and fun to fly. All the drones on this list come with a camera, one of the reasons I love flying drones is because I love viewing the world from the air. As kids, we have all at one point wanted to feel like what it would be to fly and although there are crazy people who do stuff like skydiving for most of us the closest we will experience what it feels like to fly is through drones. 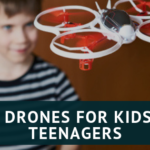 Some of the drones on this list are also compatible with VR headsets, which will truly give you an immersive flying experience, all the drones are perfect for beginners and kids and would make a great gift for those special occasions. 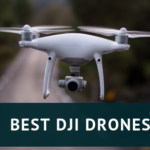 As regular readers of my website will know, DJI is my favourite drone company (because they make the best drones) and it’s no surprise that their drone tops this list. Top of my list is the new Tello drone from DJI and Ryze Tech, DJI are known for dominating the higher end of the drone market. So it came as no surprise that they would sooner or later produce a beginner friendly drone in the lower price bracket. This drone is under $100 and it is worth every penny. 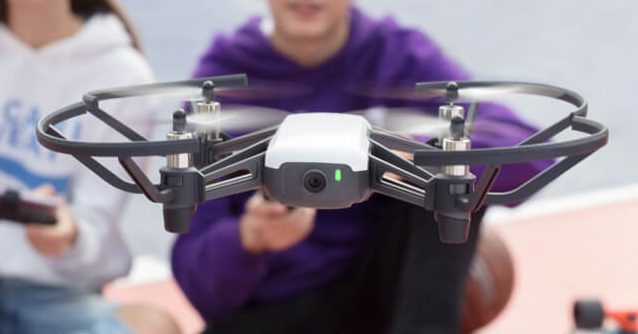 It comes with some really advanced features that you will not find in more expensive drones.There is a 720p HD camera at the front which also takes 5-megapixel images and with electronic image stabilising software, your images and videos will be ultra-smooth. There are also 3 intelligent flight modes and it is compatible with DJI goggles for a more immersive flying experience. 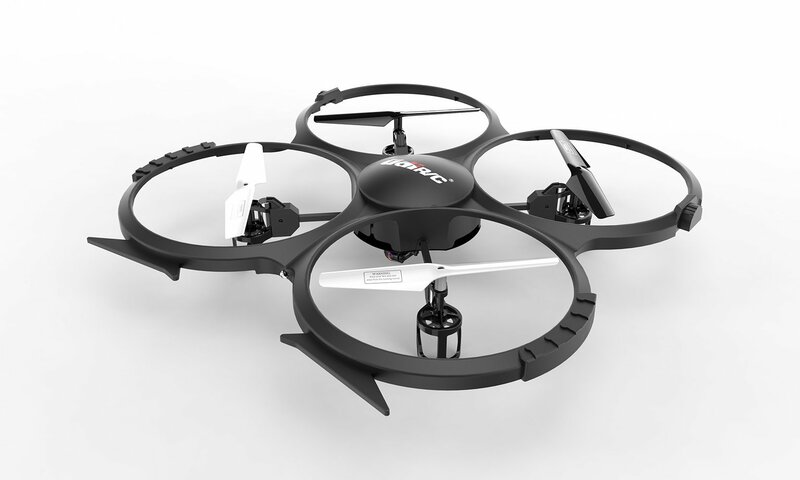 It has a failsafe system so that you never lose your drone and comes with propeller guards. With features that let you do cool flips and hover in mid-air,this drone is perfect for beginners. The Parrot AR.Drone 2.0 is the most expensive drone on this list and quite rightly so. Its HD camera will provide stunning images and videos. The drone is controlled by a smartphone or tablet via the FreeFlight 2.0 app. The camera is digitally stabilised so that distortion and jello effect is reduced. You can share videos or images straight from the app and it comes with interchangeable hulls that can be used for indoors and outdoors. Has a flight time of around 12 minutes with a range of 50m and stabilisation technology that lets you fly with ease. The DROCON U31W Navigator drone comes with some very cool features,ones that will make flying this drone both fun and easy. The Drone features a 720p HD camera with altitude hold that makes it easier to hover in the air and take photographs and videos. The drone can also be paired up with VR headsets and along with the cameras 120° field of view, this should make for a more immersive drone flying experience. It has a flight time of 7 minutes and control range of 30m. Definitely one of the more feature rich drones on this list. 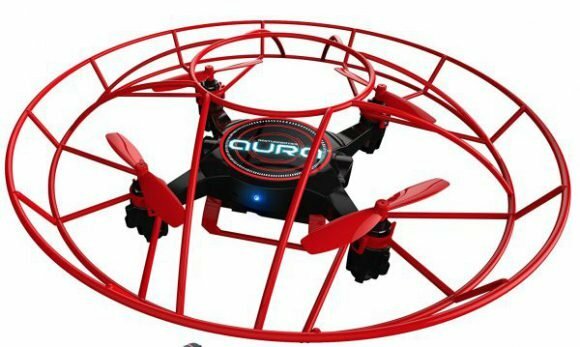 If you are looking to buy a personal drone or quadcopter without spending too much money, then UDI U818A Upgraded Version 2.4 GHz Quadcopter with Camera is a good bet.The four-ring design of the drone ingeniously protects the rotors that help eliminate damage to the most vital parts. The UDI U818A HD is well built and can hold up well to harsh weathers. It features two flight modes that can be accessed via the controller one modes is for absolute beginners and the other for those with a bit of flying experience. This is one of the more advanced drones for beginners and a fun one to fly and its camera doesn’t disappoint. The Hubsan X4 H107C is one of the best drones for beginners that offers cool features that make it easy and fund to fly.It is an excellent and inexpensive mini-drone which is extremely easy to fly, making it an ideal choice for beginners. The 720p camera can shoot surprisingly well and record nearly jello-free videos. It comes with wraparound prop protectors that make it a durable flyer. The entire unit, excluding the battery, weighs about forty grams, whereas, with the battery, the total weight is about fifty grams. 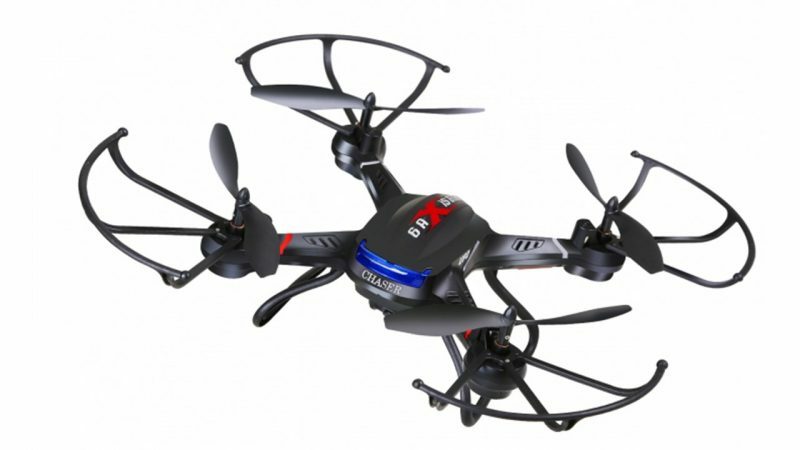 Since it is very lightweight, the quadcopter is well-suited for indoor flying. The controls are very responsive and allow you to manoeuvre through the air with great ease. Recognized worldwide as one of the best RC toy makers, Syma has maintained an excellent reputation over the years. It has released around twenty helicopters and quadcopters so far, and all of them are of pretty good quality. The drone comes with a six-axis gyroscope that enables precise hovering and strong balance in the air, even when there is light wind. It features a 360-degree roll control that allows beginners to cool manoeuvres it without sacrificing control. Moreover, due to the spread spectrum control, the drone can fly at greater distances with enhanced responsiveness and less interference than radio control. The Syma X5C comes with a 2MP, 720P HD camera to capture fantastic stills and record stunning videos from the air. Holy Stone F181a is one of my favourites drones and is a really good drone for beginners. Not only is it aesthetically pleasing to the eyes,it also comes with some pretty cool features like a 720p camera. It features LED lights on the bottom where red lights are for backward movement and blue lights are for forward movement, which makes it quite suitable for flying at night. The F181 RC quadcopter comes fully fitted with a two-megapixel camera that is able to take snaps of 720p resolution and record videos at thirty frames per second.The drone comes ready to fly and all you need to do is insert four AA batteries. The Syma X5SC-1 is an upgrade to its predecessor the X5C-1 and this can be seen from the redesign of its body with longer landing legs and headless mode for easier flying. It also comes with an HD camera and which can take 2 MP images and record videos in 720p. The transmitter has a range of around 50m which is in line with most toy drones. It’s a fun drone to fly and although its camera will not provide sharp crisp images, it is still a useful feature to impress people with. One problem with the X5SC-1 is that it doesn’t hold up very well in slightly windy conditions,other than that its a great drone for beginners. I wasn’t quite sure whether to put this drone on this list or not, it is not a traditional quadcopter drone. However, it is for kids and that means its perfect for beginners as well. This is one of the most fun drones you will ever fly,it doesn’t come with a normal controller that you hold with two hands. Instead, the controller has a circular interface and two straps which you wrap around your hand. You control it through the motion of your hand pretty much how a Jedi uses the force to control objects. This drone will make you feel like a superhero!! No matter if it is Christmas or someone’s birthday, a drone is a great gift for any special occasion and flying them is extremely fun. All the drones on this list are geared towards beginners but they are are suitable for everyone. I personally love the DJI Tello drone and believe it is the best drone for beginners. I have been looking at buying a mini drone for some time now. But every time I look, I get overwhelmed. Thanks to your review, I think I’ll go buy one of the beginner drones to get some experience before I go buy a bigger, better one. That way I will know what I want in a better drone. And what I don’t care so much about. Thank you very much for the review. I look forward to searching through the rest of your site. What a great informational post! I just received a “stunt” drone for Christmas, and I have to say that drones are not just for kids! I am 52 and I am hooked on flying drones! I am a rank beginner and will need lots of practice before I buy a better drone with a camera. I have looked at the ones you recommend and am glad to see the prices are really low! Thanks for the detailed post! Thanks for commenting, yes drones are for everyone and I am glad that you found my site informative. I had come across your site a few months ago and based on you recommendation I bought the DROCON U31W Navigator Drone. It is my first drone and I love it. It was far easier to learn to control than I had first thought it would be. I could not be happier, thanks for make a great recommendation! Appreciate that you purchased from this site and happy that you are finding it easy to fly. Hey it’s me back again, left you some feedback for a comment earlier didn’t mean to accident. On the drones you are reviewing, I never owned a drone, but I really like the Syma x5c looks awesome out of all them. Does it have blade guards to go on it? I have got two grandsons that have two mini drones and I like flying them. No problem,the Syma X5C is a good choice and yes it does come with blade guards. Its an old drone but still very fun to fly. I was looking for a birthday present for my 7-year-old cousin and I thought a drone for a beginner that’s easy to operate would be ideal for him! This gave me all the information I needed and I think I’m going with the Syma X5C. Thanks for your article and found it really helpful! I’ve been thinking about buying a drone so I am glad I came across your article. I definitely think run time compared to charge time and camera quality would be two of the main concerns when buying a drone. 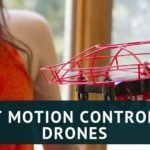 I have two grand daughters who I would eventually like to buy a drone for and your post has shown me several different options for drones I could look at. Do you think they will be able to improve the length of flight time in the future? Thanks for stopping by and commenting,yes I agree flight time is one area where drones can be improved and is being improved. Most beginner drones will have a short flight time because of their design and technology. The more advanced drones can fly up-to 30 minutes. Still as a drone flyer even 30 minutes isn’t enough,until the drone companies design batteries that can last much longer,I always advise that people purchase extra batteries. The quadcopter U818A with the camera sounds like my kind of drone. Currently, I am very curious as to how drones work, and the capabilities of it. This sounds like a good entry drone as I want something that is easy on my wallet for now. What I really like about it is that it has four circular protective rings protecting the propellers. Many years I tried to remotely fly a mini helicopter and I totally obliterated it. Even since then, I was traumatized and refused to buy another toy copter. This drone is at least “cushion” if I accidentally bump it into a tree or something. The fact that it comes with a camera is also a plus. I don’t really want to buy another go pro on top of it when I barely know what I am doing. My question is, does it also do 4k videos? Drones are so cool! I recently purchased one a year or so ago after doing some research. It was a DJI Mavic Pro. Its not exactly a beginner model, but its a great investment for someone looking for a easy to learn upper model. Before that I had started with one of the beginner models listed on your page and it gave me a really good baseline to know how to upgrade! I have always wanted to own a drone but was afraid it will be too complex to operate. Believe me, I’ve seen people who flew their drone up the tree and had a hard time retrieving it after that. There are also many varieties out there so I’m not sure which one is the best for beginners like me. Your recommendations are just what I am looking for. The UDI U818A HD looks very cool for its affordable price, will definitely consider that. Thanks a lot for the reviews! Drones have also been on my buying list.. it was a good review.. ill definitely consider buying one of them..
Drones are so fascinating, like a mini helicopter you can control! I bought my first drone (a very cheap one) about a year ago and it broke so quick. While I had it, it was super fun to play with! Like when you’re a little kid and you fly kits but this is 10x better! I’ve been planning on buying a new one, thanks for the great suggestions! 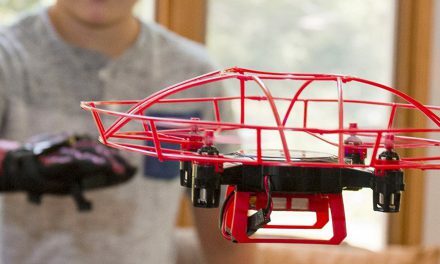 Hi Minhaj, I was searching the web for a decent beginners drone for myself and my Son (who is 14) and came across this article. AM definitely going for the Syma X5C as its a great price right now on Amazon considering it has a 720P HD camera . BTW, great article, thank you for sharing. Thanks for your post. I’m very much into drones, and have tried a few in the past. My friends also own one, which has the cameras attached and you can record, which I think is really cool. There’s many to choose from on your post which is really good, and do like the look of the Hubsan X4 H107C as it looks cool. I also like that you’ve put the key features on there. informative article minhaj but I have got a unique problem I hope you can give me some guidance on. I have got three kids that all want to fly drones a the same time in a pretty small area. This mean I either need to buy 3 drones which all operate on difference frequencies (generally not a cheap option) or I need to get the one drone with spare batteries and have them charged up in advance. Do any of these models have spare batteries available for purchase? I would advise buy one of these drones and let them play around with it in turn. Too many drones in confined areas is not safe. Spare batteries can be purchased for the drones on this list and I always recommend people to buy extra batteries because the flight time is never enough. If I were to pick one drone for you to buy fro your kids it would be the Aura drone with gesture control,it will make them feel like super heroes and is a fun drone to fly even for adults. Dracon drone seems legit and I love the design of radius protected drones. The price of it is also reasonable. Syma upgraded also seems legit and is suitable for a beginner. Hello there! I have a nephew and he saw me flying around with my drone. I have a dji phantom 3 and he wants to try flying it. But I don’t want to because he’s young and I don’t want him to destroy my drone. Although I said no, I told him that I will buy him a drone. I will surely buy him the Syma X5C and try to teach him how to fly it. Thank you for sharing this information. I do a lot of outside events with my favorite pastime, mud running, and it would be fantastic to have an easy way to do a fly-over of the festival area where the spectators are. Would the Tello Drone have good enough video with the 720p camera to post the video in a YouTube video? Or would you recommend finding one with 1080p capability? The Tello drone has a fantastic camera and will be great for what you are looking to do,however, I must add,since I do not know in which country you reside in,you will have to make sure that you are allowed to record video of places where there is a public gathering. Hi , ace site, thanks for making life easier when it comes to choosing a drone. Was wondering if you had another supplier for your top recommendation? Tello Drone From DJI/RYZE Tech. As your stockist appears to be out of stock until the end of the month. I was really impressed with your review of it. Been actually in the market for a drone for my brother in-law, wanted something nice, but user friendly and of course not too expensive (Seen some crazy ones, but one drop and is over) so wanted him to have some practice first, I decided on the Tello Drone, just wanted to thank you for the recommendations. Thanks for stopping by and commenting and I agree the Tello drone is fantastic. Hey, great reviews and recommendations. I have been interested in drones for a while and had no idea where to start. The Tello looks cool, will definitely add it to my wishlist. What is the next drone advancement are you looking forward to the most? Thanks for your comment,I agree the Tello drone does look cool and comes with fantastic features. As for what I am looking forward to in the next evolution in drone technology,I think that would be drone taxis,or drones that are large enough to carry people. There are already trials going on in places like Dubai and I am excited to see what the future holds for this kind of drone service. Thank you for all the great information. My husband is obsessed with Drones and just got a drone that you can use a smart phone with. He has not taken it out of the box as of yet because he says the weather conditions are not good, but is impatiently waiting. I am hoping it is easy to fly because I have seen these crash and burn multiple times. He is a beginner and I am hoping he really likes it because he can spend some quality time with my son who also likes drones. Thanks for your comment and I am pleased that you found the article helpful. thanks for this comprehensive overview. Glad you picked and reviewed those high quality drones from parrot and DJI. I remember that the first drone I got was a very cheap 30 Dollar drone: It didn’t have enough power to fly stable at all, the camera was of poor quality and the remote control’s range was super limited! I’m thinking about starting to fly drones with my son this summer. What is your recommondation on how to teach a kid how to fly? Do you have a guide/tutorial for that or so? Thanks for stopping by and commenting,yes those really cheap drones can be a little flimsy and unstable during flight. However,I believe they are still a great way to practice your flying skills. I do have a guide that goes through the basics of learning how to fly a drone,you can access it here. It is mind blowing how this market has exploded. Reading your review, I was in awe of how many options are available. My first experience with a drone is when we were selling our house. My friend and his son brought their drones to take pictures. We lived on a golf course so he would fly the drone down the fairway to show the view. Amazing pictures and you could view them instantly on his iPhone. All the drones you show are very reasonably priced. I expected to have to spend $500 to find something decent. For under a $100 there are great options to buy. This was very helpful for a newbie like me. Thanks for your comment and yes I agree,it is amazing just how far drone technology has come and how they have opened up the market to everyone and not just your drone hobbyist. You do have a lot of options to buy drones with cool features at low prices. Wow, drones have improved since they started. I was a bit disappointed in flight times but the other features are great! I suppose as you say the thing to do is have extra batteries with you. I hadn’t realised that you could control some of them from your smartphone, but that makes sense when you think about it. Could you tell me what FPV Capability is? Thanks for your comment and yes drones have vastly improved in terms of technological capability. FPV stands for First Person View,this is when the drone camera can live stream video straight to your controller (if it has a screen) or smartphone. It is one of the features I look for when choosing a drone to purchase. Since it comes with 720 HD pixels of camera quality. And I really like the play time. It ability to last for 13 minutes makes it so unique and it is surely worth the price. I’m considering buying one so I will bookmark Your website for future purchase, anytime I’m ready for it. Thanks for Your thorough review. Thanks for your comment,yes the DJI Tello is a fantastic drone for beginners and comes with a really good camera. You will not be disappointed. Omg so many drones I have trouble picking the right one! I recognize all of these drones’ cameras are of 720p quality, are there any that comes with 1080p or is that the standard camera quality for now? Thanks for your comment, if you want a camera with higher resolutions, you I suggest you check out my article on the best drones for photography. Great info. We just recently got a drone for our trip to Hawaii. We got DJI Spark. I wish I found your site before purchasing it. We intended to use the drone but we didn’t get to use it. Should have got a cheaper one per your recommendation to try out. 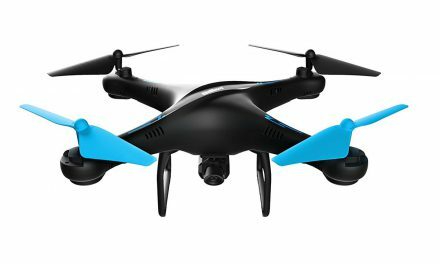 The Spark is one my favourite drones, you made a good choice, its good for beginners as well, however, I wouldn’t recommend something over $200 for a first drone, that is why most of the drones on this list are under $100. I must say that I have heard so many positive things about drones but honestly, I was never thinking about getting one. Drones will definitely overcome the world in the future because they have really awesome features. What I like the most is its design so my choice would definitely be Holy Stone F181 RC. Thank you so much for this article it is quite entertaining, I love flying things ever since I was a little boy I have always been attracted to flying objects. I love drone mostly because they are easy to fly after reading your article i now know where to purchase the best drone from. 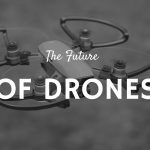 Thank you for this useful post once again it was really helpful, I will definitely share the site with my friends and family i believe they will love to get a drone after reading the article.